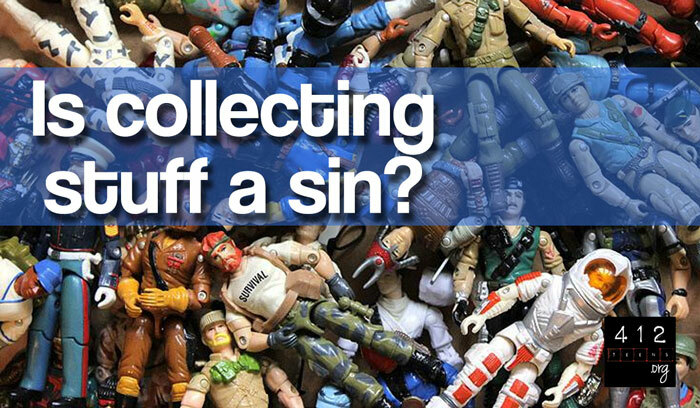 Is collecting a sin? Is it OK to buy stuff for my fandom? As with most questions that go along the lines of "Is _______ a sin? 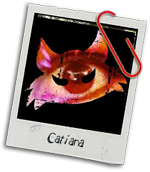 ", unless it's morally obvious, we have to ask ourselves mostly about our motivations behind doing the thing in question. And seeing's how the Bible never says, "Thou shalt not be a Whovian," we've got to turn to biblical principles rather than one specific "do or do not" passage. A principle like we find in 1 Corinthians 10:31 says "So, whether you eat or drink, or whatever you do, do all to the glory of God." So, is collecting coins, movie posters, Hello Kitty, or dragons going to give glory to God? Does your obsession with Star Wars or Sherlock either give or take away God's glory? Does the line of teddy bears on your shelf get in the way of your job of giving God the glory in all things? Or does it neither add to or subtract from your ability to give God glory in your life? Is it just another thing you like to do? I love to collect chairs. (Yes, I realize this is a weird thing to collect. ☺) I enjoy discovering unique, old, comfy chairs and using them as decorative yet useful elements in our home. However, I don't get more than we have room for; I always try to have a place in mind before I buy one. Also the chairs help provide a place for friends and family to sit when they come visit. If my chair collecting resulted in a pile of chairs in the garage because I couldn't stop myself and/or if I was spending money on objects that we ended up not even using, then my collecting would have become an unhealthy habit. The collection would be considered an idol. The chairs would be a waste of money and space in my house and heart. That kind of collecting is not very useful in the life of a believer. However, if the extent of your collecting practice is that you just ask for certain items for birthday and Christmas gifts or you only purchase them if you truly have extra money, then it's probably not such a big deal. Having a row of Lego minifigures or unicorns in your room is not likely to make you a bad Christian. Has my collection become more important than my relationships? Relationships with others is definitely more important than any stuff you own. Ecclesiastes 4:10 says, "For if they fall, one will lift up his fellow. But woe to him who is alone when he falls and has not another to lift him up!" If your friend accidentally broke one of your collection items, would it affect your friendship badly? Or would you be able to forgive him or her? Because a friend is more important than any stuff you own! First Peter 4:8 says, "Above all, keep loving one another earnestly, since love covers a multitude of sins." Do you find yourself bragging about your collection or feeling envious of another's? Is it a source of pride? Proverbs 27:2 says, "Let another praise you, and not your own mouth; a stranger, and not your own lips." Do your desires make you jealous of others? James 3:16 says, "For where jealousy and selfish ambition exist, there will be disorder and every vile practice." Always remember that people are more important than things. Romans 12:18 says, "If possible, so far as it depends on you, live peaceably with all." Things can be replaced. People can't. If you are very possessive about your collection, or you feel envy for someone else's, or it causes fights or hurts your friendships, or if it has become an object of extreme pride, then your practice of collecting is actually hurting you and your ability to live your life for Christ. Collecting is not, in and of itself, a sin. It isn't a sin to own things or even to collect them. But when your collection becomes something that hurts your relationships or stops you from doing what God wants His children to do, THEN you have sinned. On the other hand, if you can keep your collecting as just a background part of your life, something that simply gives you joy when you have an opportunity to do it, and doesn't interfere with your relationships or God's will for your life, then you are probably completely safe to be a collector. 1 Corinthians 10:31 says "So, whether you eat or drink, or whatever you do, do all to the glory of God." Does your fandom get in the way of your faith? Does it distract you from the things that really matter, like people and responsibilities? Collecting is not, in and of itself, a sin. It isn't a sin to own things or even to collect them. But when your collection becomes something that hurts your relationships or stops you from doing what God wants His children to do, THEN you have sinned.